When you start a business, you probably think of what you want to sell, what you want to call your business, make sure you have some money, and even build a website. But where are your customers? You won’t have a business without them and they’re not simply going to find you. Instead, you must build your website with the singular purpose of drawing customers into your business, not just so you have something to print on your business cards, flyers, and brochures. While this is useful, you’re missing out on how powerful of a marketing vehicle your website truly is. To experience the power you have here, you must optimize your website so it’s search engine friendly. Whether you learn SEO yourself or hire someone to do it for you, the ROI is well worth the investment. Your website can continually provide you with sales leads when this is done correctly, so make sure you heed the following steps in your optimization process. 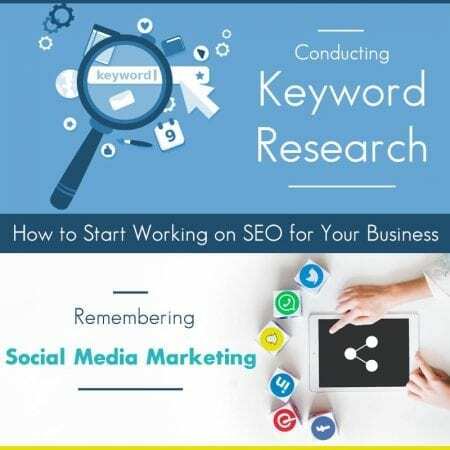 The first step in the SEO process is to find relevant keywords – ones that your potential customers are typing into the search engines when they want to find your products or services. Once you’ve found these keywords you’ll also want to know how much competition there is for these keywords and how often they’re searched for so you know about how much traffic you can attract to your website by using them. You’ll want to concentrate on keywords that are only slightly to moderately competed over but have a high search volume. Once you have chosen your keywords, you’ll want to use them in your title tag, description tag, website title and website content. This will help give your SEO a boost. You’ll want to submit your website to online business directories (e.g. Google My Business, Apple Maps Connect) so customers in your local area can find you when conducting searches via navigation apps. A backlink is any link from another website that points to your website. You don’t want to get backlinks from just any site though – spammy sites will hurt you. It’s also important to use a variety of techniques to gain these backlinks, including directory listings, guest blogging, and forum posts. By joining social media platforms and finding relevant channels for your business you’ll reap many great benefits. One of the best is that you’ll create additional strong backlinks to your site, through which you’ll be able to directly communicate with your customers. Another great benefit comes from the exponential amount of word-of-mouth marketing you’ll receive here over any other way this marketing could happen. Creating new content and keeping your website fresh is important. You can’t afford to get complacent here. Instead, you must continually strive to create really valuable content so Google will want to show it off for you in their search results. This can’t always be in the form of photos or videos either. For SEO to work for you here, you’ll need to use words. A good website will organically drive inbound traffic so people from the search engines can find you. However, your biggest challenge lies in being found on the first page. This is why you must concentrate your efforts on Google – where 80% of America’s net search ad revenue will be found this year. If this confuses you, then take a few moments to talk to the Local SEO Tampa Company. They can help level the playing field for you with your larger competitors.